Australian Catholic University (ACU) is a public not-for-profit university funded by the Australian Government and open to students and staff of all beliefs. The University offers Undergraduate and Postgraduate courses. In addition the University is committed to creating a specialised, growing and well-regarded research environment. In pursuing this goal, ACU is building research capacity in the areas, listed below. The first focus area is Theology and Philosophy as being central to the elucidation, development and expression of Catholic intellectual thought. The second focus area is Health, with a particular emphasis on the value of care, especially of the weak and vulnerable. The third focus area is Education, especially in support of the historic Mission of Catholic educational institutions and agencies in exercising an option for the poor and vulnerable. The final focus area is the Common Good and Social Justice. This multi-disciplinary focus extends throughout the University’s teaching and research. It also grounds the development of the University’s graduates, who learn to think critically, act ethically and put the good of humanity at the centre of their concerns. Research Culture & Focus - The University will create and foster an organisational-wide research culture and focus its research in designated areas of speciality derived from the University’s character and Mission. Research Quality & Productivity - The University will improve the quality and productivity of research outcomes. Research Training - The University will strengthen its research training environment. Knowledge Transfer - The University will promote public intellectual engagement and communicate the outcomes of research and knowledge transfer.  The Australian Government introduced the CRN Program to encourage less research intensive universities to team up with other institutions in areas of common interest in order to build research capacity. For information and updates on the ACU CRN program visit www.acu.edu.au/CRN. The Institute for Religion, Politics and Society (IRPS) undertakes comparative research on the public expression of religion in relation to major institutions in society such as the law, politics, economy and society. The IRPS is an interdisciplinary research group combing expertise in anthropology, politics and sociology. Each of its research projects will, at some level, be conducted in response to globalisation, its causes and consequences, and religion. The Institute for Health and Ageing (IHA) is led by Professor Marita McCabe and based in Melbourne. Professor McCabe is a highly regarded clinical, health, and forensic psychologist whose research addresses some of our society's key health concerns. Her research interests include body image, obesity prevention and treatment, eating disorders, human sexuality and depression, and mental health problems among older people. Her appointment is an important step in our research intensification strategy and she brings invaluable expertise to the University in the key priority area of health. Australian Catholic University has 84 data records in Research Data Australia, which cover 147 subjects areas including Catholic, National Church Life Survey (NCLS) and Protestant and involve 8 group(s). All of the information provided by Australian Catholic University can be accessed from the box on the right hand side of this page.